READY TO INFLATE YOUR FUN!!! Brigette’s Bargain Balloons is a full service balloon company. 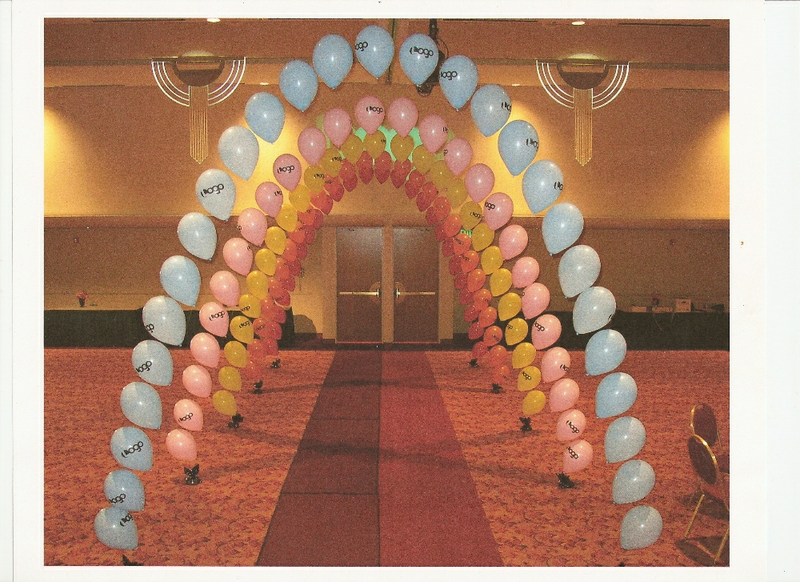 We offer balloon arches, columns, sculptures, centerpieces, bouquets, balloon releases and drop set ups. We are happy to stop by your event site to give a free quote or by phone and email to get pricing. We offer custom printing on latex and mylar balloons for advertising or personalized occasions. We have a 24/7 day a week set up schedule to help get it done when you need it. Delivery of balloons in all amounts, 25 balloons to fill a friends office or a 1000 balloons to hand out at your church festival. Free delivery in Milwaukee and Waukesha Co. Beautiful balloons at bargain prices. Serving Wisconsin since 1988. Click below on any image to see more images in that category. Visit Name and Number Balloons for Custom Printing, Personalized Names, Mylar Letter and Number Shapes.